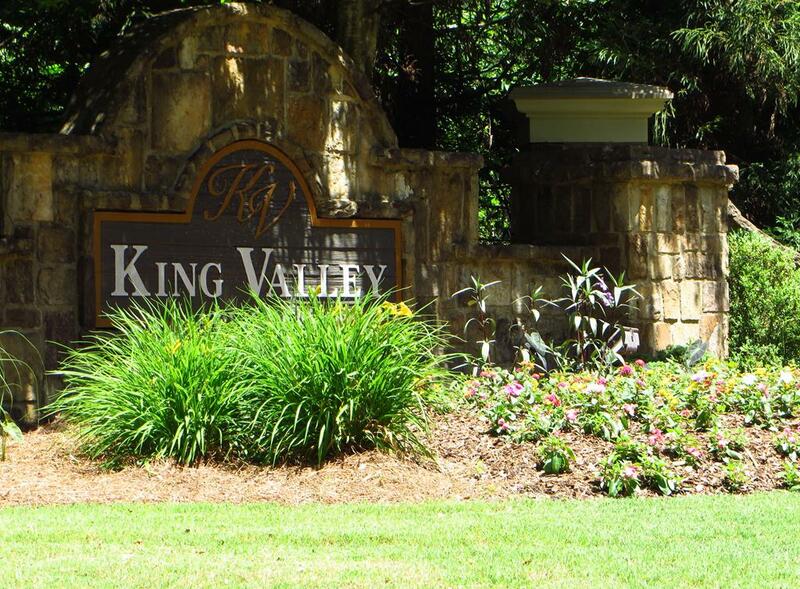 The neighborhood of King Valley At Vinings, which is located in the City of Smyrna, Cobb County Georgia 30082, is a wonderful subdivision of homes conveniently located near Vinings. There are homes in this Traton home builder community on slab (no basement) and basements (finished and unfinished). Most of the homes have 2 car garages and the builder includes Traton Homes. The community amenities include swimming pool, tennis courts and H.O.A (Home Owner Association) fees, at time of post, appear to be $580.00 a year. Just East of the subdivision is the area City park Rhyme Park. Unique features of the homes/neighborhood is the fact that this is a tradtional / craftsman estate community with full amenites and priced affordably. The list prices for a home in the past to present, at time of post, range in price from $275,000 to $449,500. Most homes built in the neighborhood between 1998-2001. Homes typically have from 3 to 6 bedrooms & 2.5 to 5.5 bathrooms. Residential lots in this neighborhood range from under 1/3 acre to 1/2 acre. The average selling price for a home, at time of post, is $359,048.00. Total amount of days on average, a home is listed for sale before a binding contract appears to be 81 days at time of post. Queensgate Drive and Queensgate Ct.. If you are interested in more Real Estate information on this Cobb County community or others around North Atlanta, or have A Real Estate related question, be sure to visit our RE/MAX Georgia Real Estate website @ www.NorthAtlantaHomeTeam.com.